Linda Mae Menchaca, 70, died Monday, February 4, 2019 at Hospice of Northwest Ohio, Toledo. She was born February 12, 1948 in Omaha, Nebraska. Linda was an accountant for Rudolph Libbe where she retired with 18 years’ service. She loved her grandchildren and always attended all of their events. She also enjoyed bingo and bowling. Linda is survived by Manuel Menchaca, her loving husband of 53 years; children Angelina (Jeff) Knisely, Cristina (Andy) Hogencamp and Manuel Menchaca Jr.; 11 grandchildren Manuel Menchaca III, Max and Megan Reed, Brittany and Matthew Hogencamp, Randy DeLuca Jr., Dallas, Austin, Nevada, Nolan and Liberty Knisely; siblings Frankie (Jeanne) Rozmus, Carol (Charles) Cheloha, Larry (Bonnie) Rozmus, Sharon (Matthew) Hansen, Susie Rozmus and Ronnie Rozmus; 30 nieces and nephews. 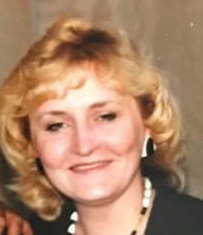 She is preceded in death by her parents Frank Rozmus and Anna (Bogatz) Kimball; sister Lorraine Krajewski; nephews Jeff Rozmus and Stevie Mendez. Family will receive friends Thursday, February 7, 2019, from 10-11 a.m. at St. Jerome Catholic Church, 300 Warner St., Walbridge, OH 43465 where mass will follow at 11 a.m. In lieu of flowers, memorial contributions can be made to St. Jerome Catholic Church.